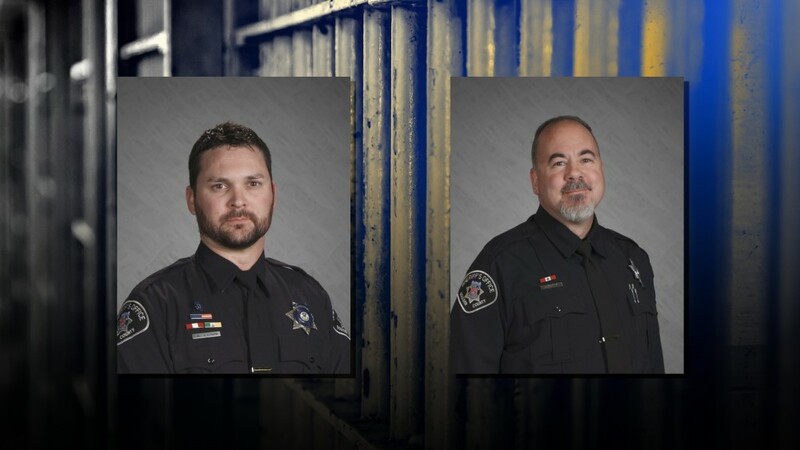 Two Boulder County sheriff’s deputies have been charged with manslaughter in the case of a 23-year-old man who died after being transported to an addiction treatment center last year. BOULDER, Colo. — Two Boulder County sheriff’s deputies have been charged with manslaughter in the case of a 23-year-old man who died after being transported to an addiction treatment center last year. Deputies James O’Brien, 49, and Adam Lunn, 36, were each charged with one count of manslaughter, a class four felony, the Twentieth Judicial District Attorney’s Office announced Monday. O’Brien and Lunn were dispatched to take Demetrius Shankling to Boulder’s Addiction Recovery Center on Sept. 9, 2018 when Boulder police determined he was highly intoxicated and needed to detox, prosecutors said. It was Shankling’s birthday and his blood alcohol content was recorded at .352, according to an arrest affidavit. Despite being trained otherwise, the deputies handcuffed Shankling and put him facedown in a small compartment in a transport van, prosecutors said. Shankling was found unresponsive in the van after 16 minutes and never regained consciousness, prosecutors said. He was pronounced dead at Swedish Medical Center on Oct. 6. Prosecutors said an autopsy showed Shankling died from “positional asphyxia” from his confinement within the van, meaning he was unable to breathe due to how his body was positioned. The forensic examiner determined the manner of death to be homicide, since he was put in that position by the two deputies. The deputies had taken training courses on how to properly transport intoxicated subjects, arrest affidavits state. Those courses included guidelines like keeping the person upright and seat-belted with constant monitoring by another officer or deputy. O'Brien and Lunn have been on paid administrative leave since Sept. 9 and will remain on leave until an internal administrative review is completed. If convicted, O’Brien and Lunn face sentences of two to six years in prison.